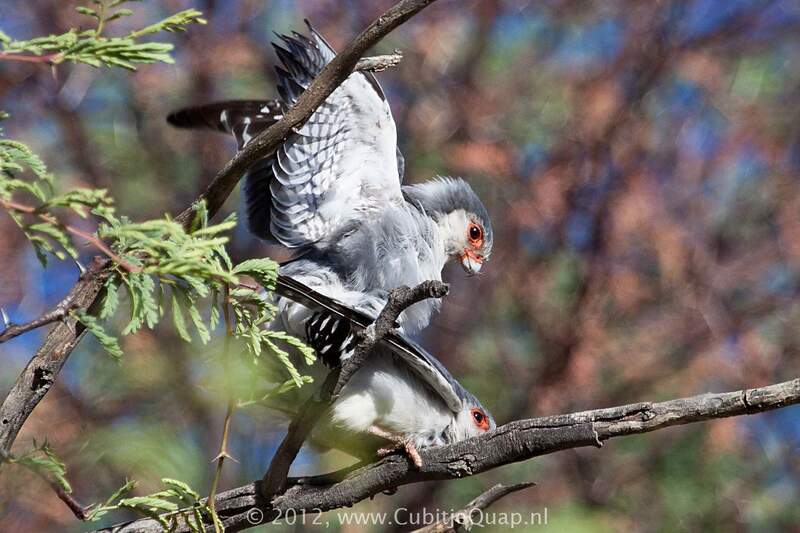 Breeding season occurs between August and March in South Africa. 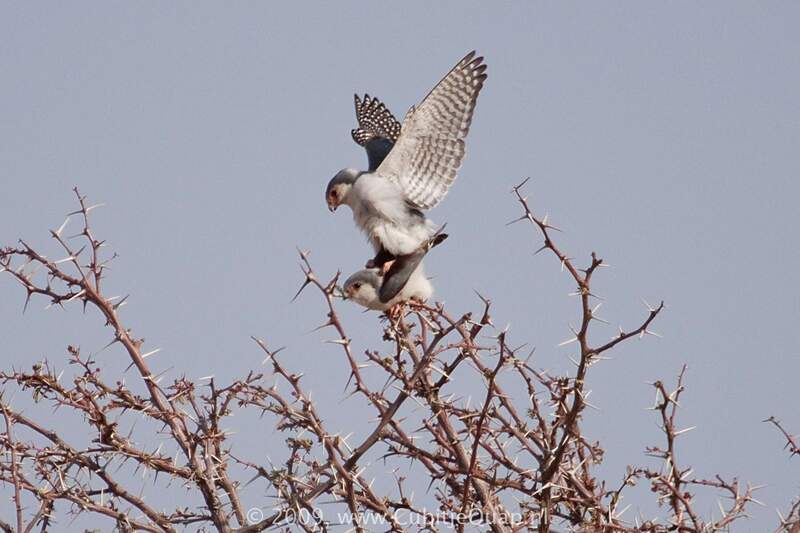 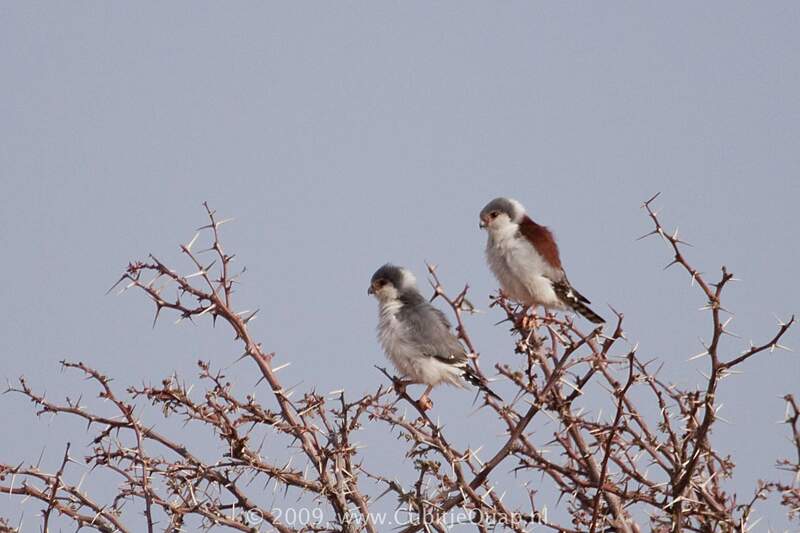 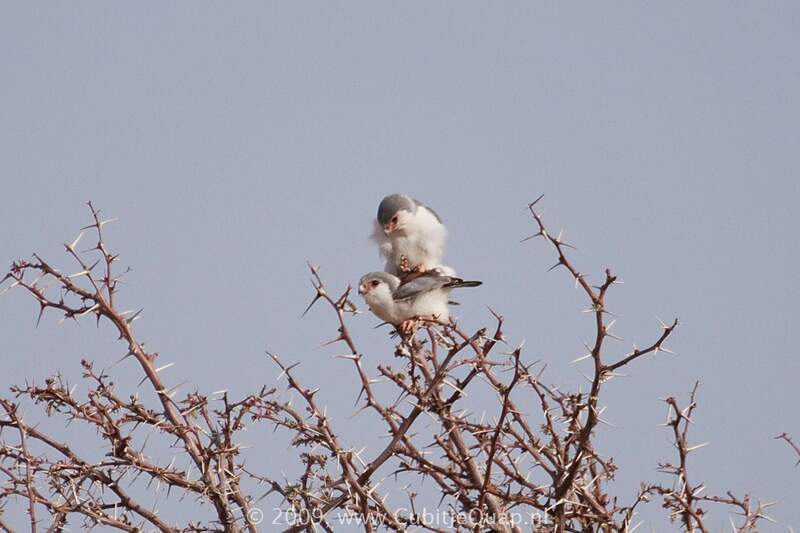 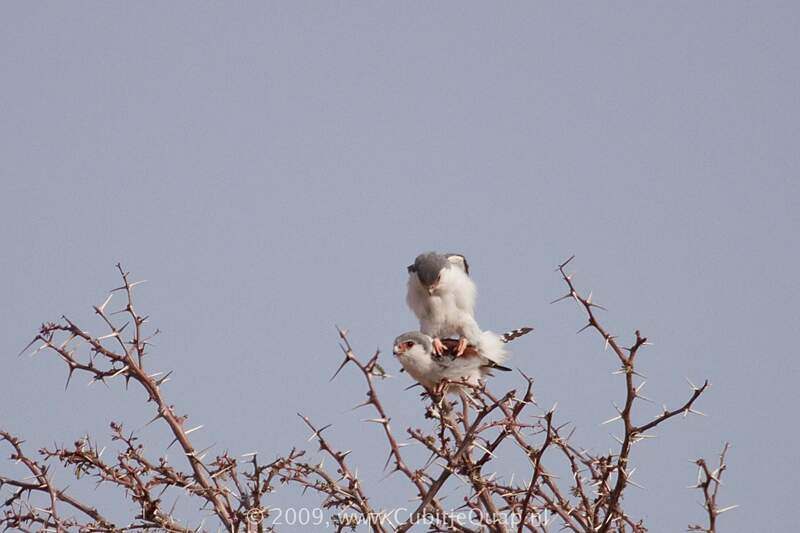 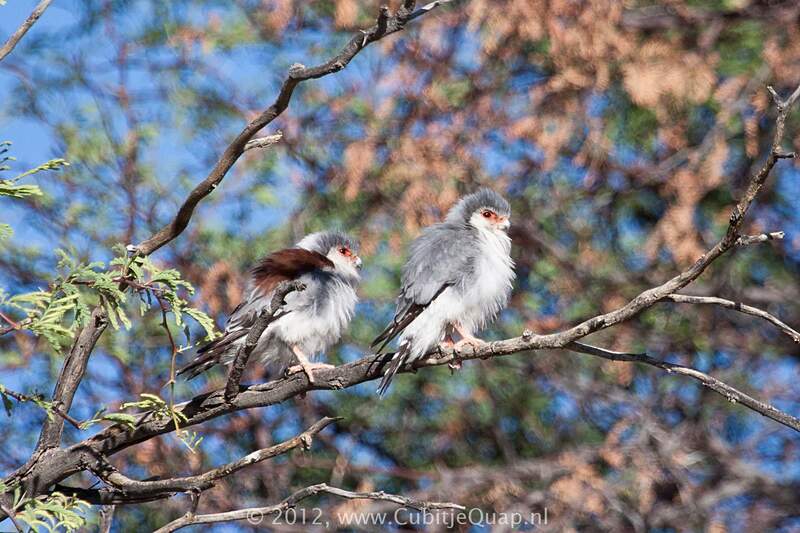 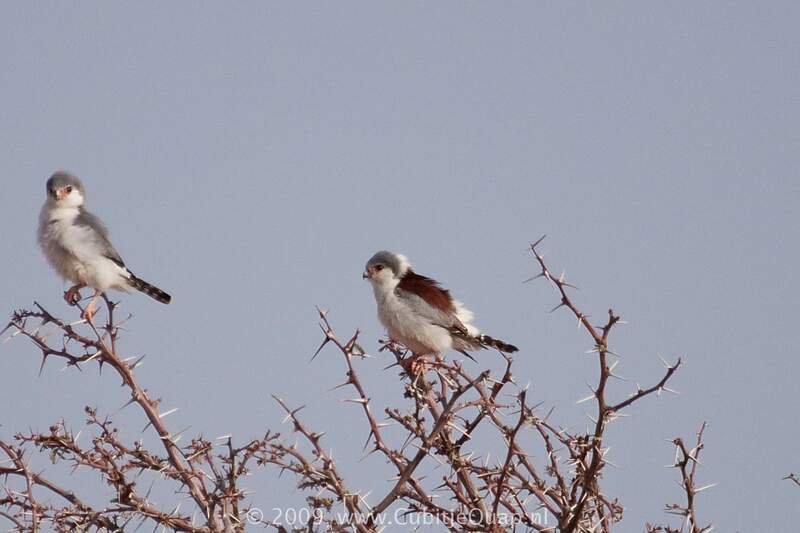 African Pygmy Falcon is usually monogamous during one season, but it may be occasionally polyandrous, with two males or more attending the same nest. 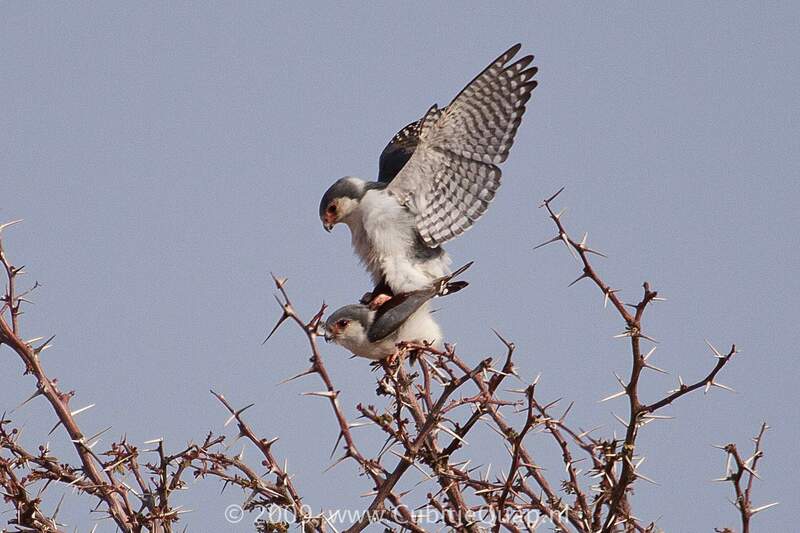 This behaviour is mainly observed when the nest-site availability is reduced. 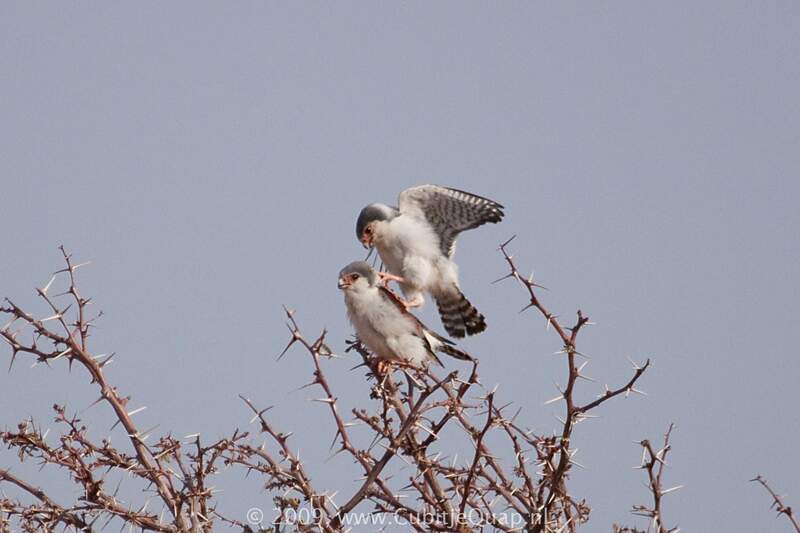 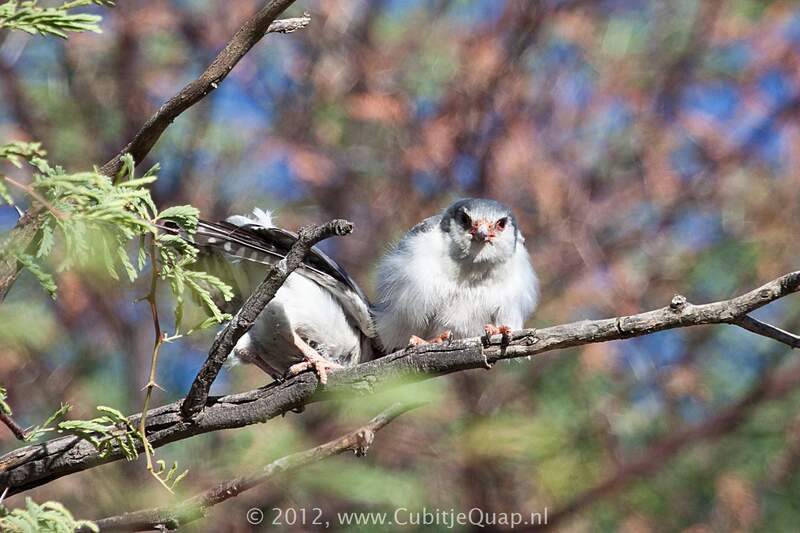 This tiny falcon invariably occupies part of the huge communal nesting structures of Sociable weavers. 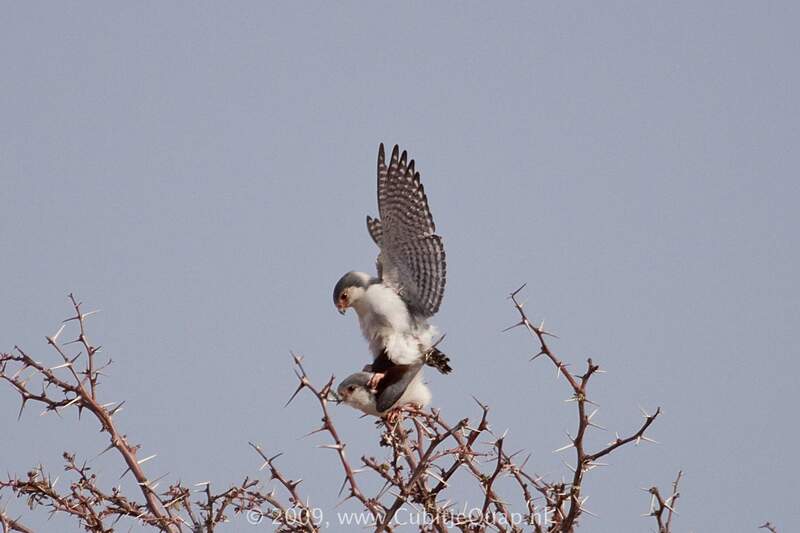 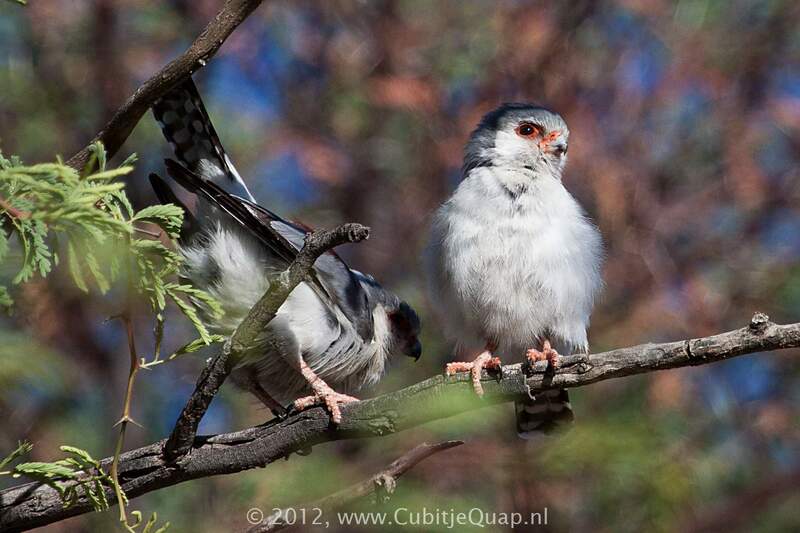 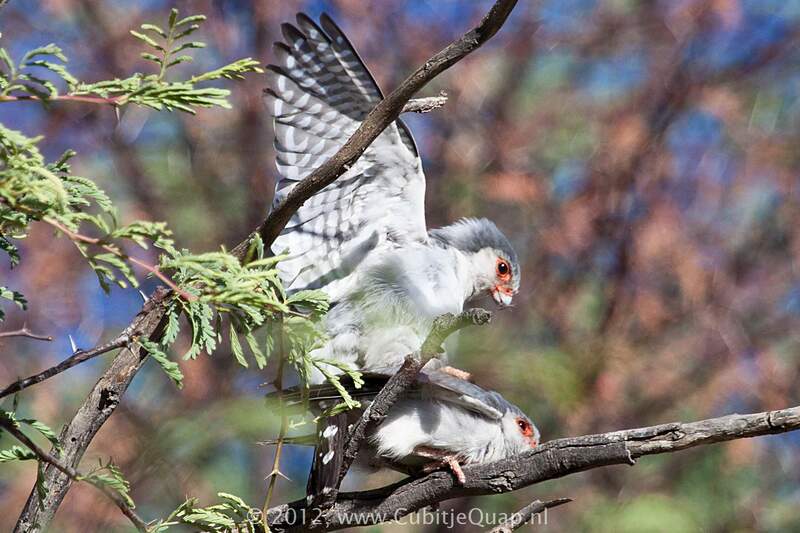 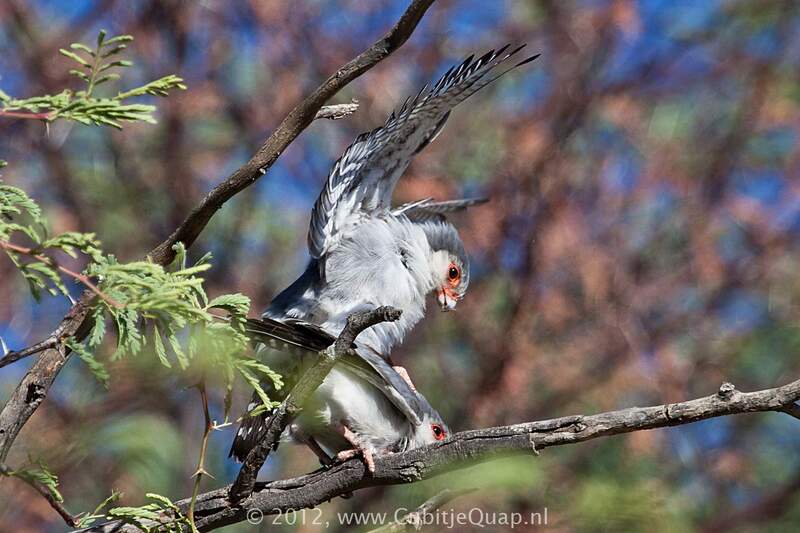 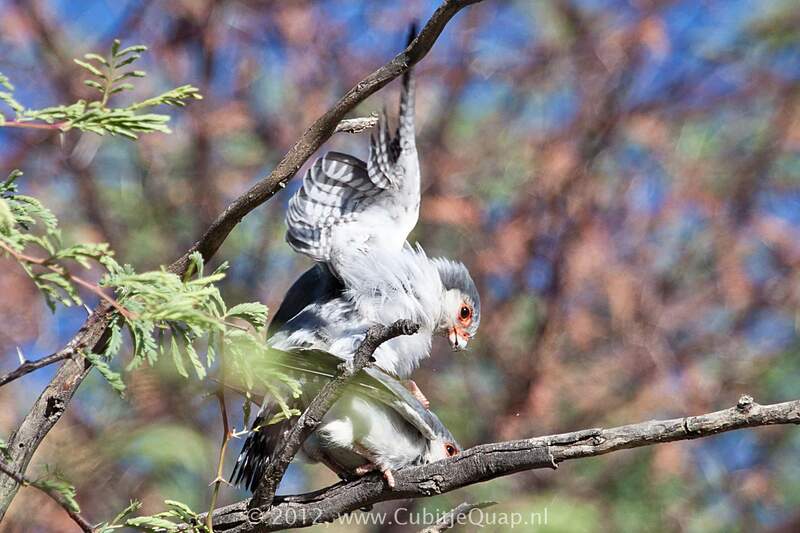 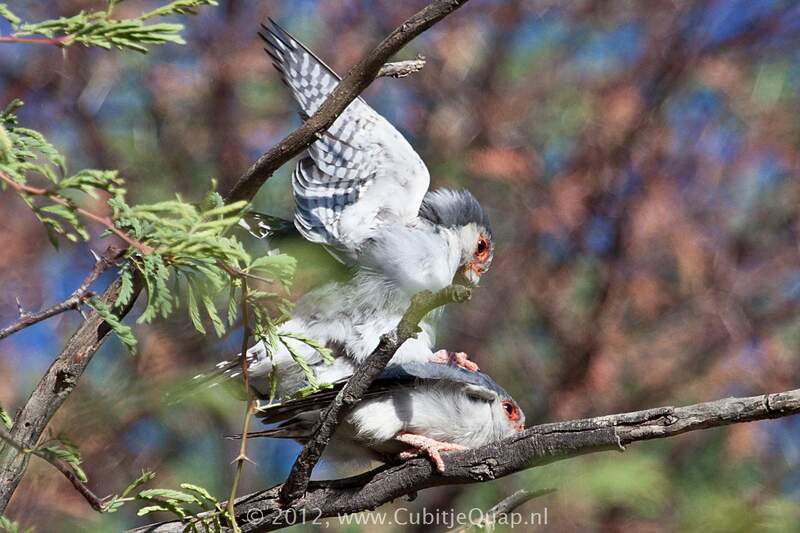 During the breeding season, the African Pygmy Falcon performs some courtship displays such as bobbing the head, bowing and wagging the tail, accompanied by calls.